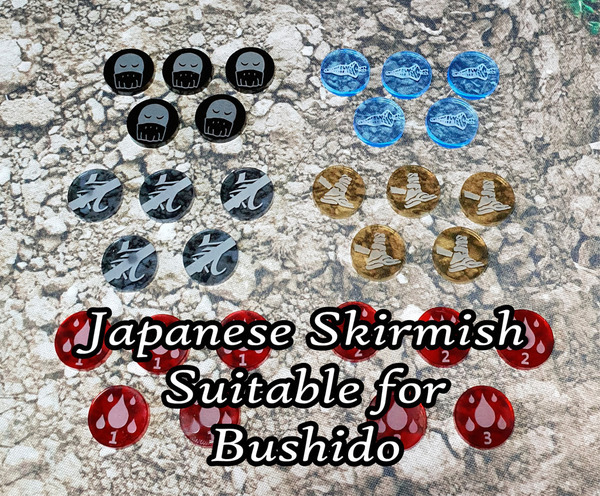 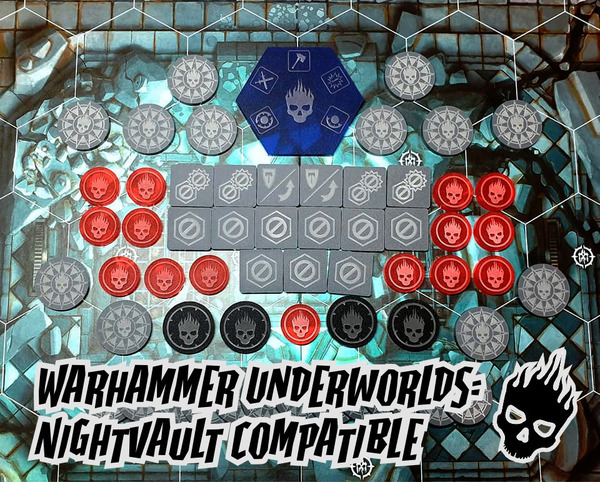 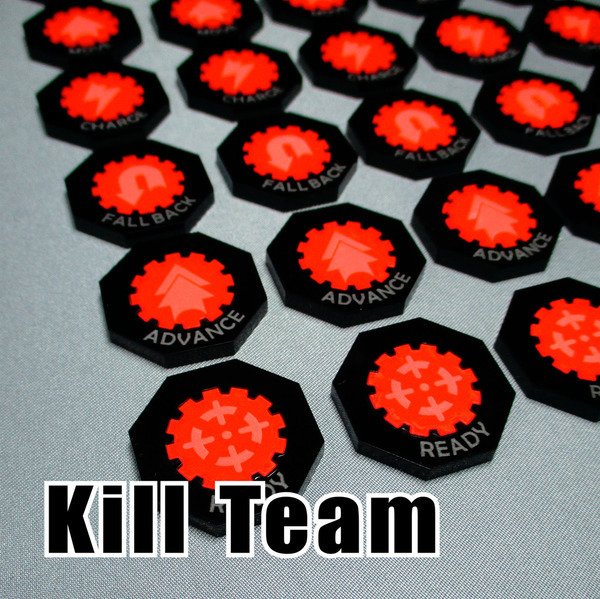 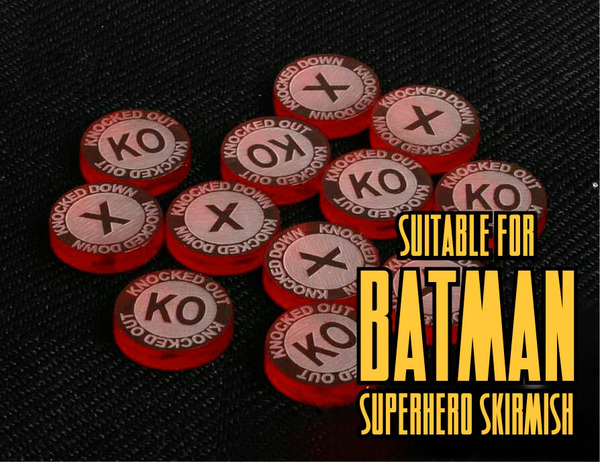 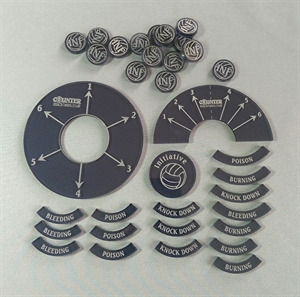 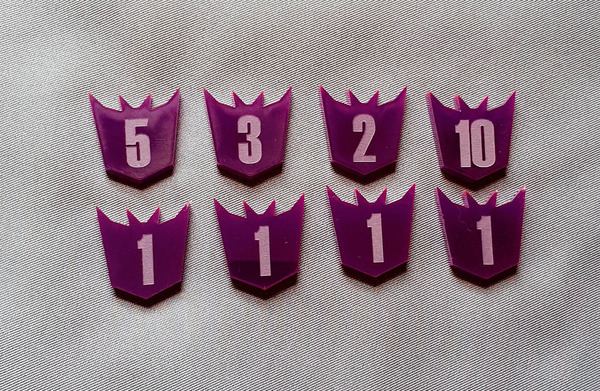 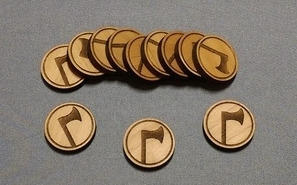 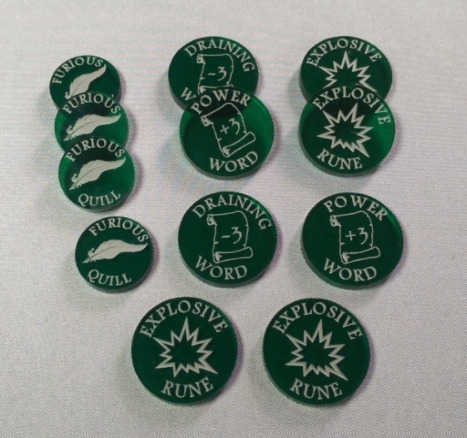 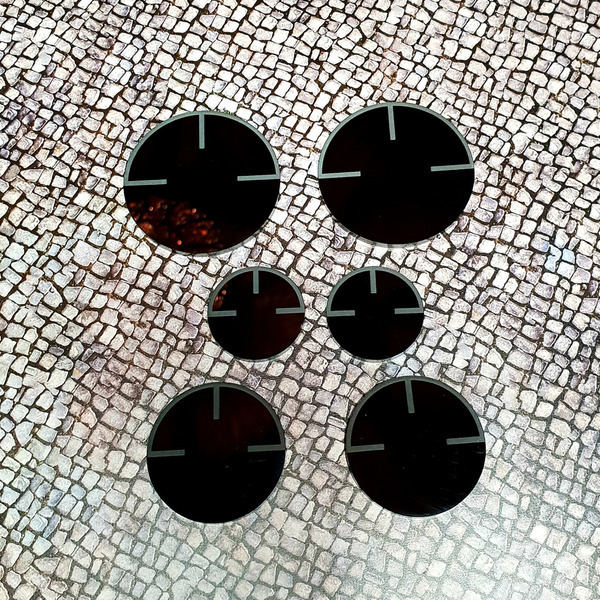 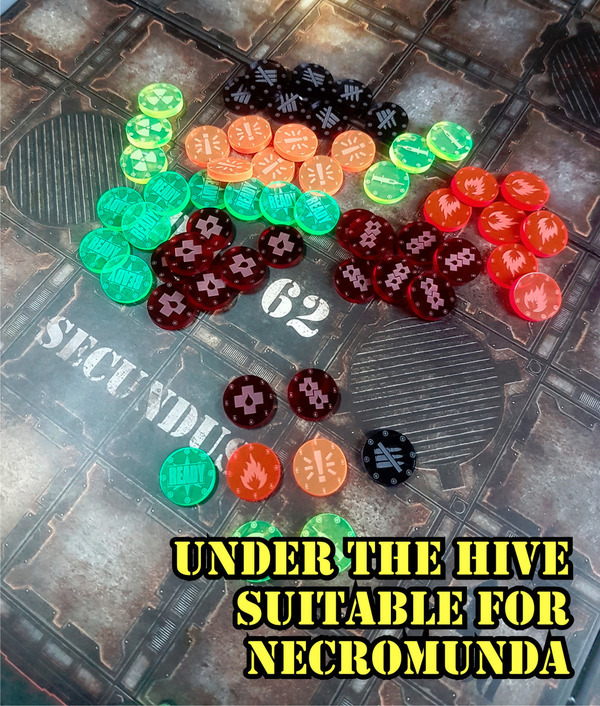 This is a set of 5 Fall Back and 5 Advance tokens to use in your games of 40K. 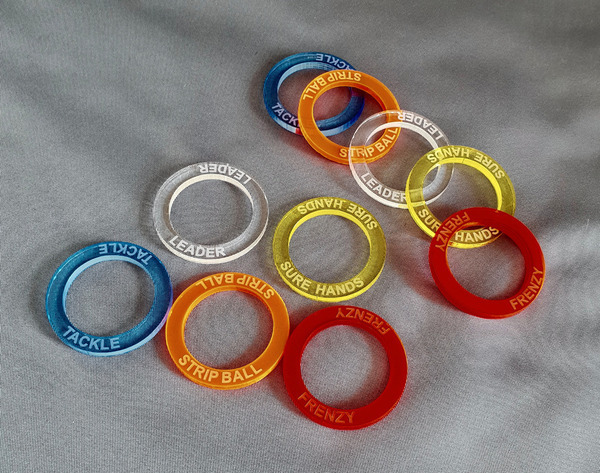 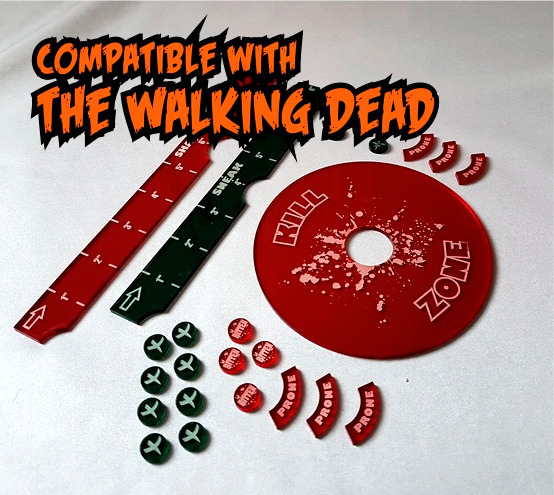 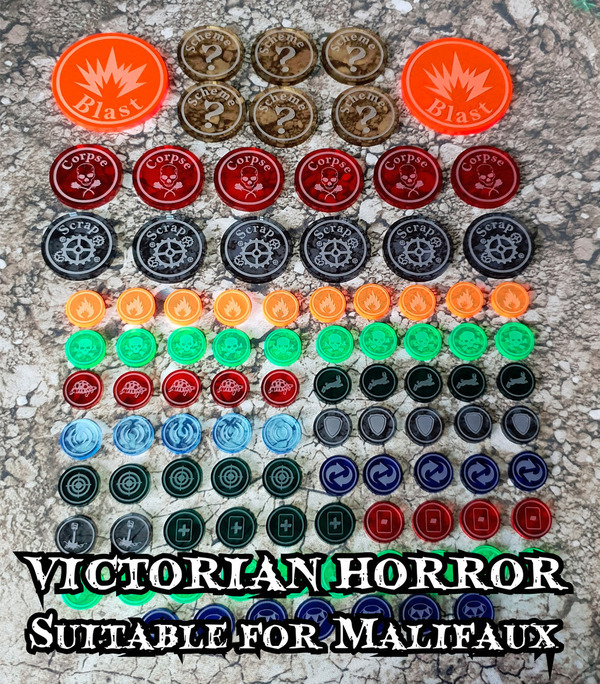 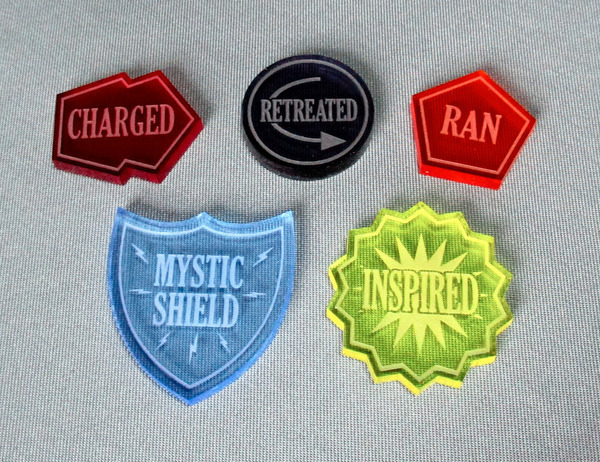 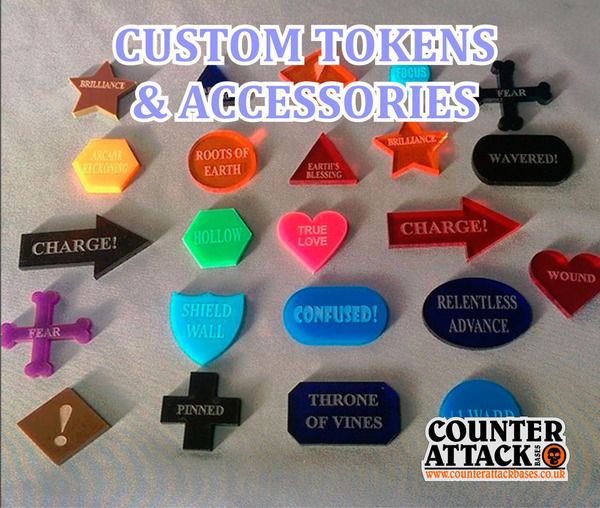 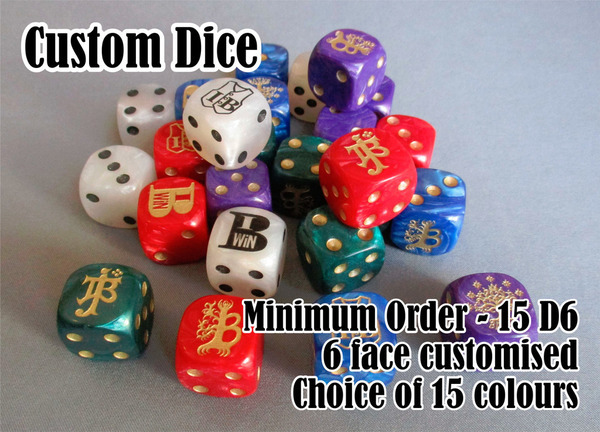 Each token type can be chosen in a different colour. 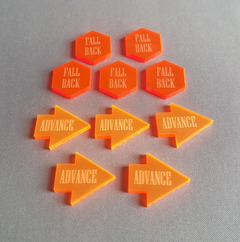 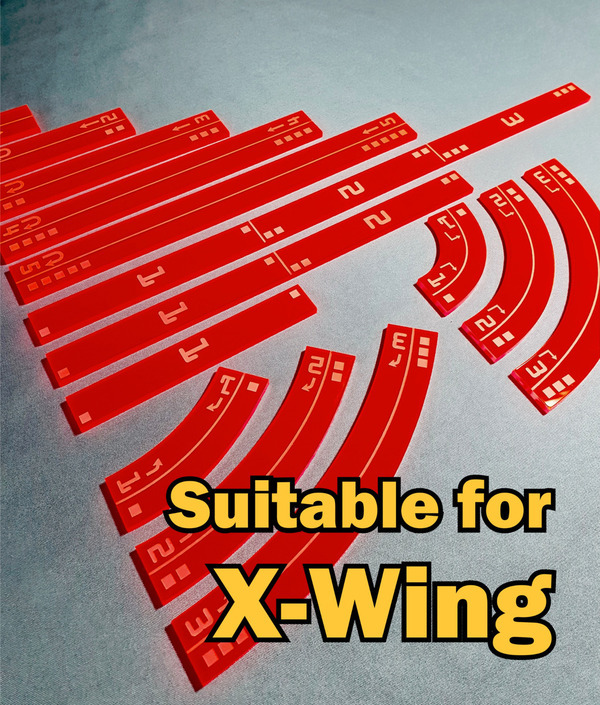 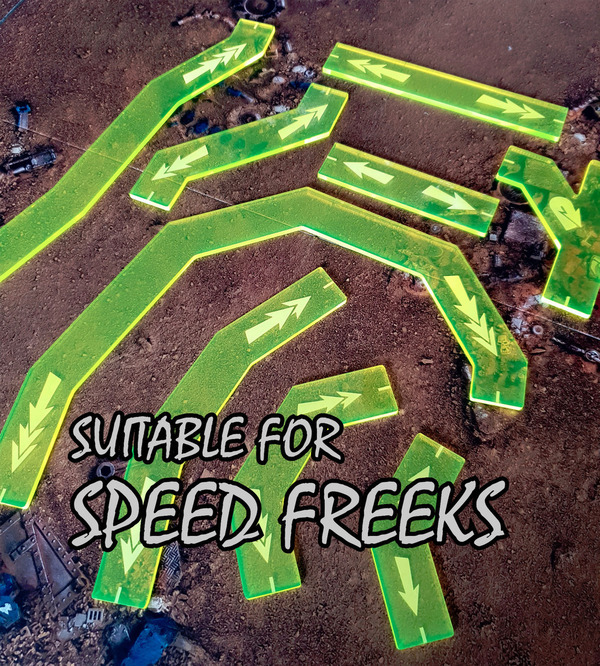 Made from 3mm Perspex.